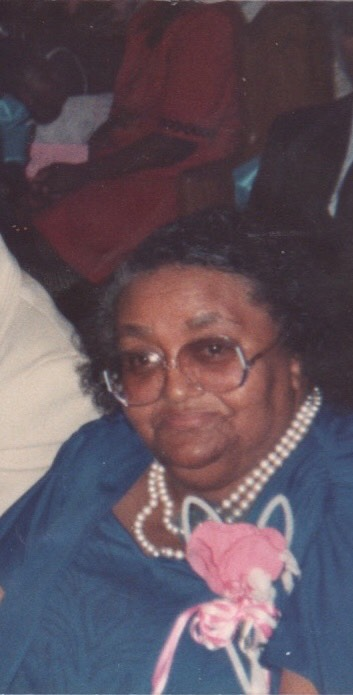 Dorothy Sweat Rumph was born November 26, 1920 to the late Eddie Sweat and Annie Wright in Holly Hill, South Carolina. She departed this life on Thursday, January 3, 2019 at Riverside Rehabilitation and Health Care Center. Dorothy attended the public schools of Holly Hill, South Carolina; at a early age she joined Liberty Hill Baptist Church in Vance, South Carolina. Dorothy was united in holy matrimony to Prezzy Lambright and to this union eleven children were born. She was preceded in death by two brother: Sinclair and Lewis Sweat; one sister, Honey Simmons; four sons, Milton, Prezzy Jr., Jerome and Rutley Lambright; four daughters, Barbara Ann, Annie L "Patsy" Brown, Manneh, Cynthia Dozier Donaldson and Carolyn Sterling. Dorothy Lambright was united in holy matrimony to the late Timothy Rumph Sr. on June 15, 1983 and later transferred her membership from Shiloh Baptist Church to Old Mt. Zion Baptist Church where she served as President of the Deaconess Board. She serve as Vice-President of the Missionary Society, the Prayer Service, serve the Sunday School Department, in the choir and as Mother of the Church. Dorothy leaves to cherish her fond memories one daughter, Marcell Soto of Boston, Massachusetts; two sons, Eddie Lambright of Dallas, Texas and Luther "Glen" Lambright of Orangeburg, South Carolina; twenty-four grandchildren, twenty-five great-grandchildren, ten great great-grandchildren; one special grandchild, Chris Donaldson; one special granddaugter, Marcells Lambright; one sister-in-law, Isabel Nelson; four daughter-in-law; two stepdaughter, Artie Rumph-Ellis and Marvia Rumph; seven-sons, Timothy Rumph Jr., Cornell, Pete, Rocky, Theodore Trammell and Hutis Rumph and a host of sympathetic relatives and friends. Viewing will be at Glover's Funeral Home on Friday, January 11, 2019 from 1:00pm until 8:00pm. The celebration of life will be held at Old Mt. Zion Baptist Church on Saturday, January 12, 2019 at 11:00am.